Rue McClanahan is an American Actress who started off her trade as a theatre actress before she graduated to film and television series. Her prominence came after her appearance in the TV series The Golden Girls and its continuity The Golden Palace which aired from 1985 to 1992. Her efforts in the series earned her an Emmy award. Moreover, Rue McClanahan is also famous for her roles on television as Vivian Harmon on Maude. Read on to know more of her biography, family, spouses, her children and net worth among and other interesting stories. Eddi-Rue McClanahan was born on 21st February 1934 in Healdton, Oklahoma, United States of America. Edi-Rue ancestry is traced to Ireland. Her mother was DredaRheua-Nell Medaris McClanahan while her father William Edwin Bill McClanahan was a contractor(building). She grew up in Ardmore, California, where she attended the Ardmore High School. She participated actively in the school plays and even won a gold medal for her efforts. 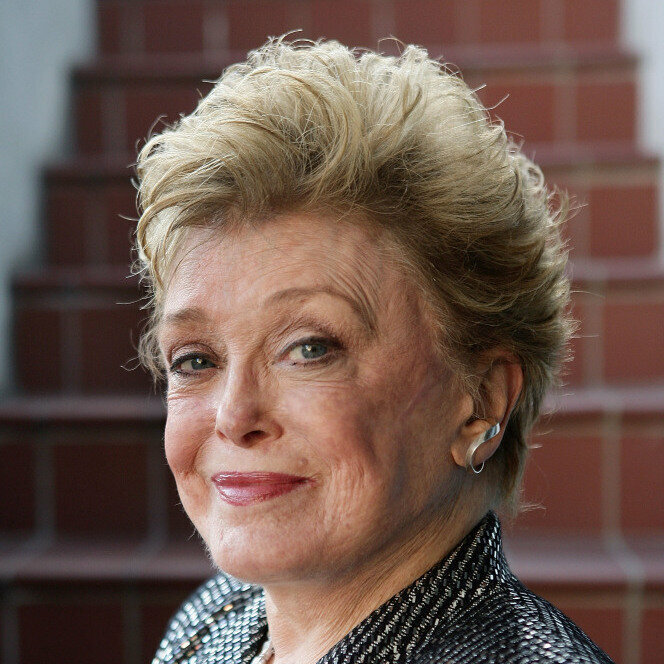 Eddi-Rue McClanahan bagged a degree in Arts from the University of Tulsa in 1956 majoring in German & Theatre courses. Immediately after university, she started up working as a professional actress, in small stage productions. Edi joined the Kapa Alpha Sorority and also served as the organization’s vice president. From there, she signed up as a life member of Actors Studio, this is where she made her stage debut at Pennsylvania’s Erie Playhouse in the play titled Inherit the wind before she proceeded to make her mark in the Broadways. The Healdton Okl born assumed Caroline Johnson, a short scripted role in Another World (1964 to 1999) that TV series gave her the desired recognition in the industry. She also worked with actress Beatrice Arthur in Maude playing Maude’s her best friend the show aired from 1972 to 1978. Rue McClanahan made other appearances in films like Rotten Apples (1961), Some of My Best Friends Are (1971) and Out Of Sea (1997) among others while her TV series features include; her award-winning role in The Golden Girls and its spin-off The Golden Palace (1985 to 1992), The Dreamer of Oz (1990), in the three in one TV film; The Children of the Bride, The Baby of Bride, and The Mother of The Bride all in the 1990s, The Animated series of the Spider-man (1994) as Anastasia Hardy, Law and Order Series (2009) and the list goes on. Her artistry in the industry has not gone unrewarded as she has been nominated for several awards. A few of which she went home with her. The Maude actress was the recipient of an Emmy award, as the Outstanding Lead Actress in a comedy series for her work on the show titled the Golden Girls. On other matters, she was quite vociferous about the rights of the gay community and even partook in the Broadway benefit concert held for them in 2009. Rue also authored a book entitled My First Five Husbands and The Ones Who Got Away (2007). The book chronicles her marital journey with her ex-spouses and their roles in her life among other facts. The Golden Girls’ Actress had amassed a net worth estimated to be about $5 million before she bowed to a brain hemorrhage. After her death, her apartment in New York was put up in the market for an asking price of $3.95 million. McClanahan married up to 6 times in her lifetime to various interesting personalities. Her last marriage lasted over 10 years before she kicked out her No. 6 husband Morris Wilson, in 2009 whom she married in 1997. Morris Wilson is also an actor, famed for Wit’s End (2005), a film he featured with his wife Rue. The duo were separated as of the time of her stroke and eventual death. Her other ex-husbands include; Tom Keel, they were together from 1984 to 1985, Gus Fisher (1976 to 1979), Peter DeMaio (1964 to 1971), Norman Hartweg (1959 to 1961) and Tom Bish from 1958 to 1959. Reasons for her series of divorce were largely unknown. 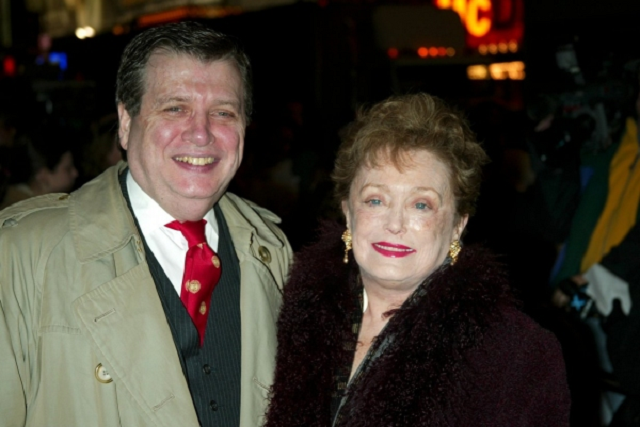 Luckily, Rue McClanahan and Tom Bish were blessed with a child, a boy whom they named Mark Thomas Bish, he was born on 2nd October 1985, in Ardmore, California. Mark Bish followed the footsteps of his parents in veering into the entertainment industry. He is famed for his works on the TV Series Intimate Portrait (1993). Rue McClanahan had an average build. She stood at a height of 5 feet 3 inches (1.60 M), while the lasted recorded weight of the actress was about 57 kilograms (126 lbs). Her hair color was light brown which was enhanced by her distinctive blue eyes. Indeed, Rue McClanahan is no doubt a legend in the entertainment industry and she will always remain a legend even though she is no more. she was 76 years old as at the time of her death. The petite actress’ health battles were traced to her diagnosis of breast cancer which was treated successfully in June 1997. But sadly, 12 years later, around November 2009 precisely, the event slated to honor her was shifted as she was struck by stroke and had to undergo surgery. The surgery was deemed okay in January 2010, unfortunately, bad news rose after the procedure, as the waking June 2010 announced the passing away of the icon due to a brain hemorrhage that she encountered whilst recovering in New York Presbyterian Hospital. Her body was cremated and handed to her family, in June 2010. Following which her personal belongings were auctioned off to the public by her son in December 2011.